I am British and graduated from Nottingham University in 1983 with a First Class honours degree in Electrical & Electronic Engineering. After a spell working on hardware at Racal-SES Ltd near Maidenhead, I changed to working in the field of software development. 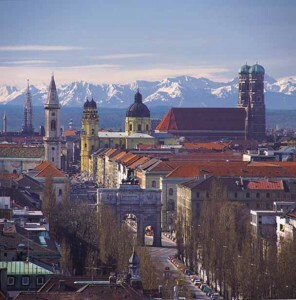 In 1987 I moved to Munich, Germany. I worked for many years as a freelance Software Engineer in Munich. I really enjoyed my time in Munich, both from a professional and private point of view. Munich is famous for the Oktoberfest, but it’s also a great place to be a freelance software engineer. I worked for many years at the company now known as EADS (European Aeronautic Defence and Space). It went through many name changes while I was there. It started out as MBB (Messerschmitt-Bölkow-Blohm) and changed to Deutsche Aerospace (DASA), Daimler-Benz Aerospace and Daimler-Chrysler Aerospace. I worked at their sites in Ottobrunn and in Manching near Ingolstadt. I also did many interesting business trips to ELBIT Systems in Haifa, Israel. I really enjoyed working there and have good memories of working with my German colleagues. It was a pleasure to work with German engineers. At EADS I worked on the upgrade of several military aircraft, such as the Tornado and both the German and the Greek Phantoms. I later went on to work at Rohde & Schwarz. I worked on the development of Software Defined Radios. This is also a good company to work for. I offer contract software engineering services. I’m now based in York, Yorkshire, UK. I only work at my own premises, not full time at the customer’s site. Of course, occasional visits to the customer are possible. I speak fluent German and reasonable French.